The Husband loves Fort Lauderdale. I’m not sure if it’s the giant drinks they trick you in to thinking are a good deal, the girls in bikinis, or maybe just the accessibility of the bars, but it’s one of his go-to weekend vacation spots. 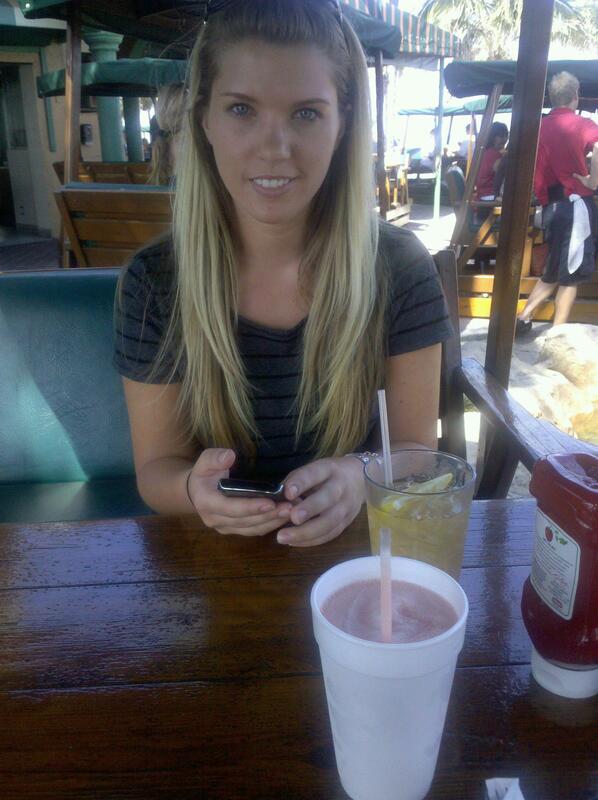 Drinks at Oasis Cafe in Fort Lauderdale. The tables are swings! 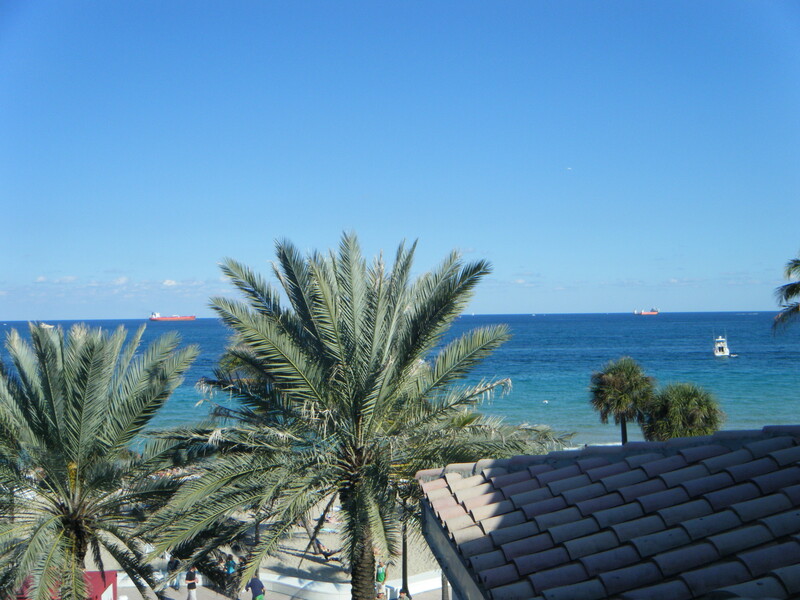 The view from pretty much everywhere in Fort Lauderdale is amazing. I believe this is actually the view from Hooters. The last time we went we stayed at the W. I really wanted to stay there because you walk to the pool through the pool. It’s really cool to see people swimming next to where you ‘re walking. Well, depending on the shape of the person swimming…. 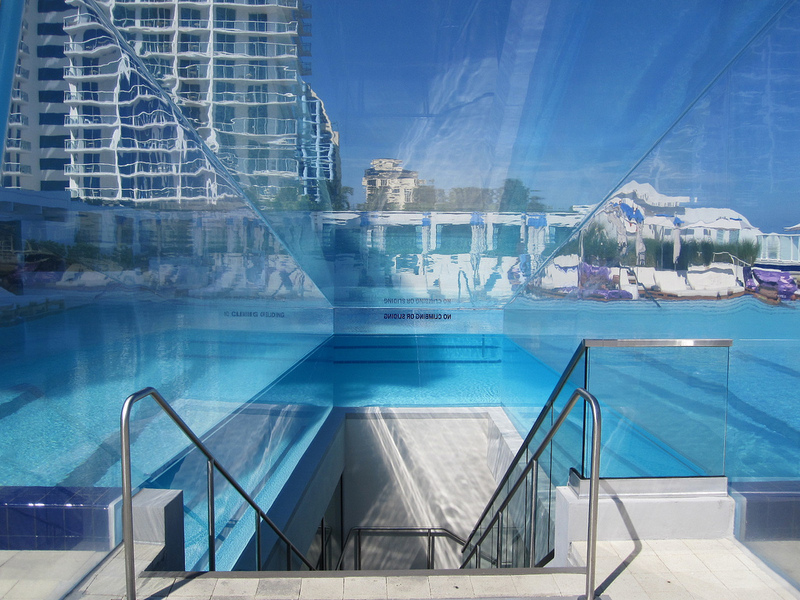 Stairs to the pool, thru the pool. All of the outside areas are really beautiful. I believe it’s probably pretty close to heaven. The blue sky, the clear, gorgeous water, the constant refill of your drink brought by pretty girls…. 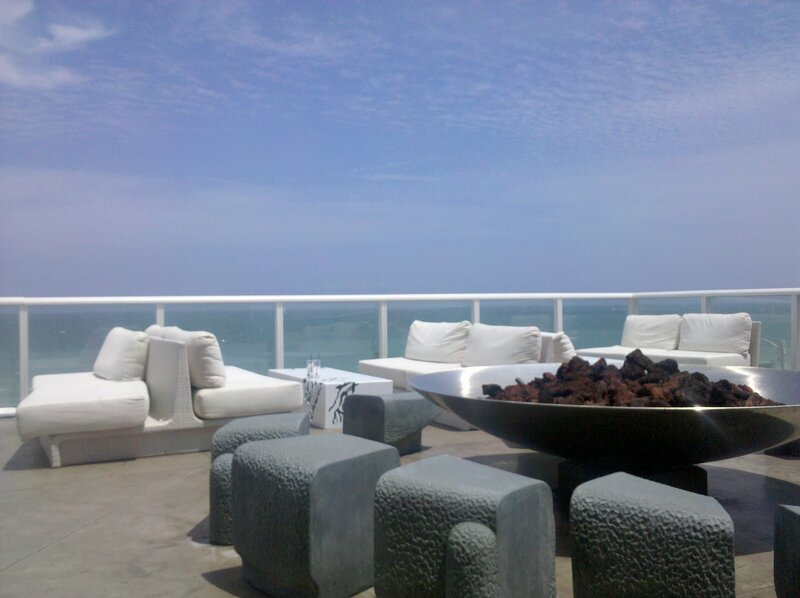 The view on the patio of the ocean. 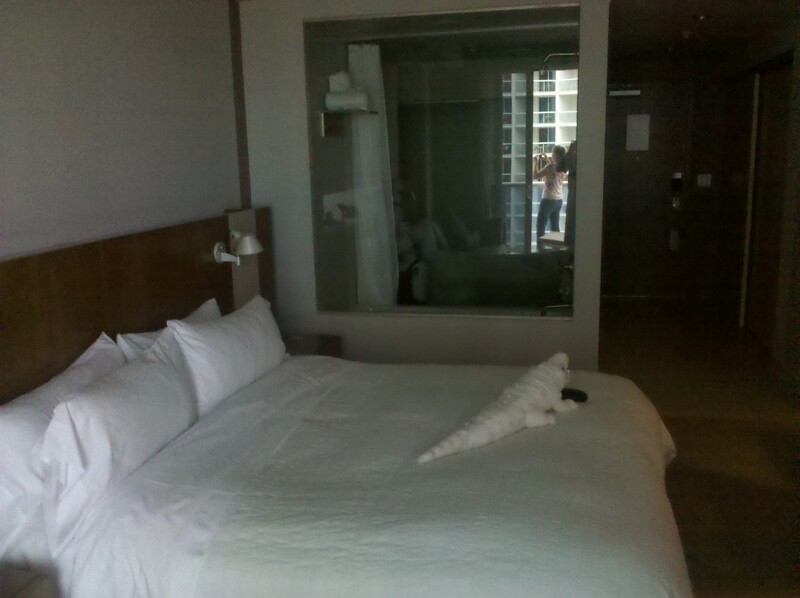 The hotel rooms are very…. chic. Maybe a little too trendy for me. I mean, I don’t want to lay in bed with the Husband showering next to me. I love him very much, but some things are better left alone…..
You can see from the balcony, over the bed, and thru the shower. Yes, that is the shower. 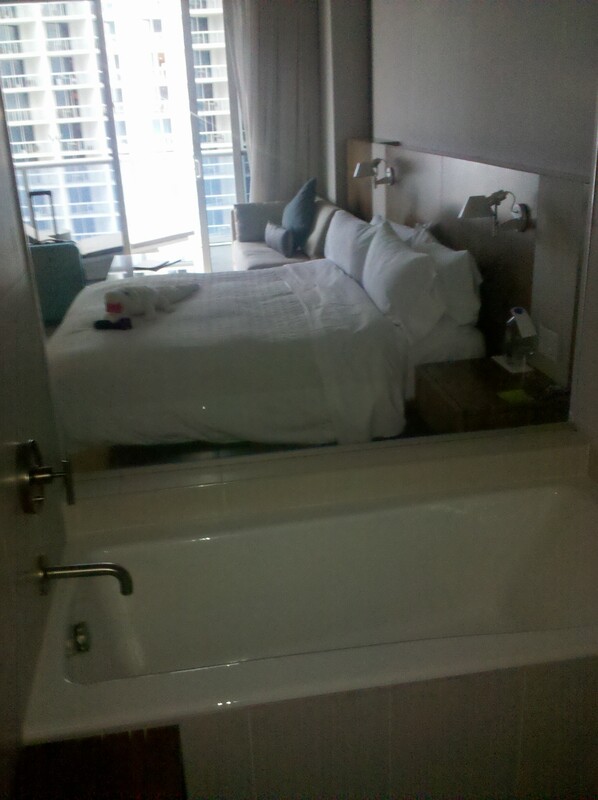 With a glass wall separating it from the bed. And the best part about the W??? It’s walking distance to Primanti Brothers!! If you have never had a Primanti Brothers sandwich, get in your car RIGHT NOW and drive to either Pittsburgh or Fort Lauderdale and order a sandwich STAT!